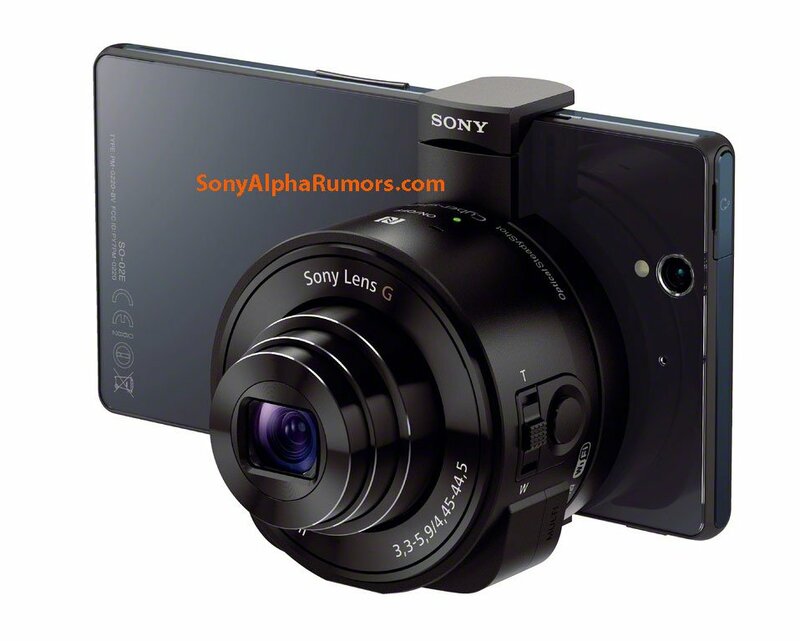 Last month we reported on rumors that Sony was preparing a new type of camera accessory for smartphones, which incorporated full camera hardware into a lens-shaped add-on. Today the source of that leak, SonyAlphaRumors, has published detailed leaked renders and photos of the add-on, which looks just as crazy as was described. Dubbed DSC-QX10 and DSC-QX100, the two lenses are said to incorporate almost all the camera hardware into the lens body itself -- so sensor, image processor, Wifi and NFC connectivity and an SD card slot. As previously reported, the accessory attaches to the back of smartphones and connects over Wifi (after being paired through NFC), allowing you to use your phone as an oversized viewfinder. Significantly, today's report says the lenses will support both Android and iOS, meaning you won't necessarily need a Sony phone to use these camera add-ons. 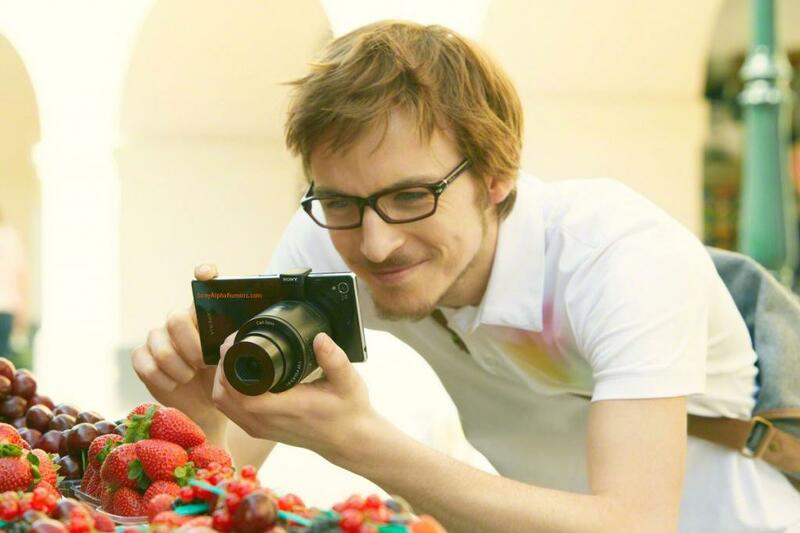 In terms of optics, the high-end model will feature the sensor from Sony's latest RX100 Mk. II top-level compact, along with a Zeiss lens. The entry-level version (pictured) is said to feature a 1/2.3-inch 18-megapixel sensor behind an f/3.3-5.9 Sony G lens with 10X optical zoom. As we said last month, this kind of product could be significant for Sony, which has identified cameras and smartphones as two of its main areas of focus. 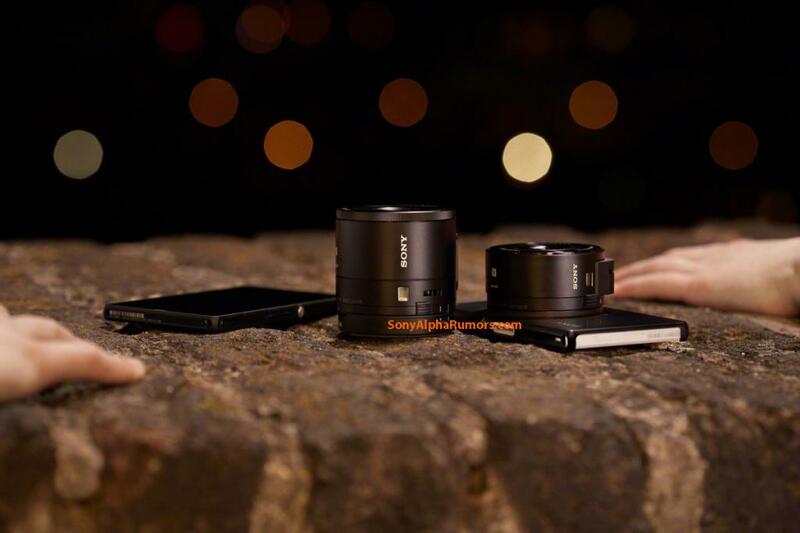 Certainly nothing like these "lens cameras" exists on the market today, and if they support the two largest mobile platforms at launch, then Sony could have a niche hit on its lands. There'll be the question of pricing to address first, though. Any takers? Shout out in the comments. More pics after the break.